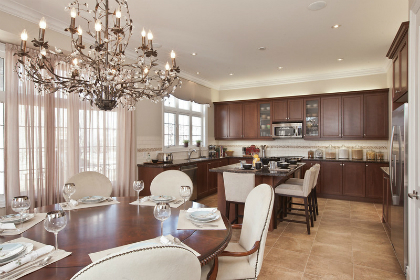 The Umbria model is a 3,336 square foot, 4-bedroom, 3.5-bathroom detached home. The decor of the model boasts a contemporary flair, ideal for those who love slick finishings, hard lines, and cutting edge design. The Corvina model is a 4,354 square foot, 4-bedroom, 5.5-bathroom detached home. The Corvina is designed in a more traditional manner, showcasing time-tested design elements. The two models may differ when it comes to styling, but they both offer top quality appointments. The kitchens feature furniture finish cabinets with extended uppers, straight edge granite countertops, and ceramic backsplashes. 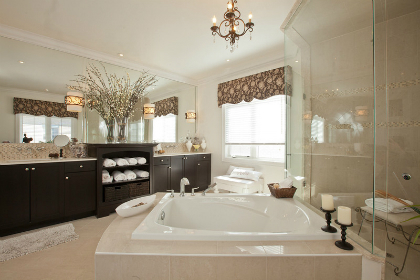 The beautiful bathrooms are equipped with energy efficient fixtures, and feature ceramic wall tiling, elegant pedestal sinks, and luxurious acrylic tubs. Other incredible interior features and finishes include 10’ main floor ceilings, oak stairs, natural prefinished hardwood, and stunning gas fireplaces with Tuscan-inspired precast limestone mantels. Visit the Vaughan Valley Models today! 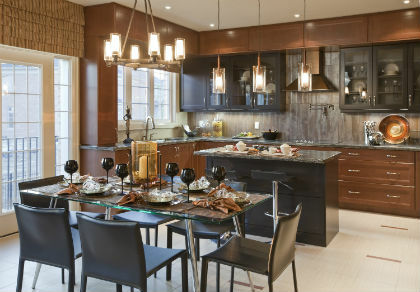 Our Vaughan Valley model homes are located on the west side of Weston Road, north of Major Mackenzie Drive – 52 Orleans Circle. Visit us Monday to Thursday from 4 pm to 8 pm and on weekends and holidays from 11 am to 6 pm. 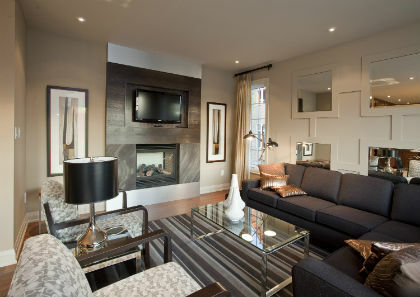 For more information about the model home sale, call 905-303-4728.